Delivering stunning 4K content requires the best components and cabling. Xantech EX Series Cables are built to exceed the needs of today's content with high quality construction that integrators can rely on. 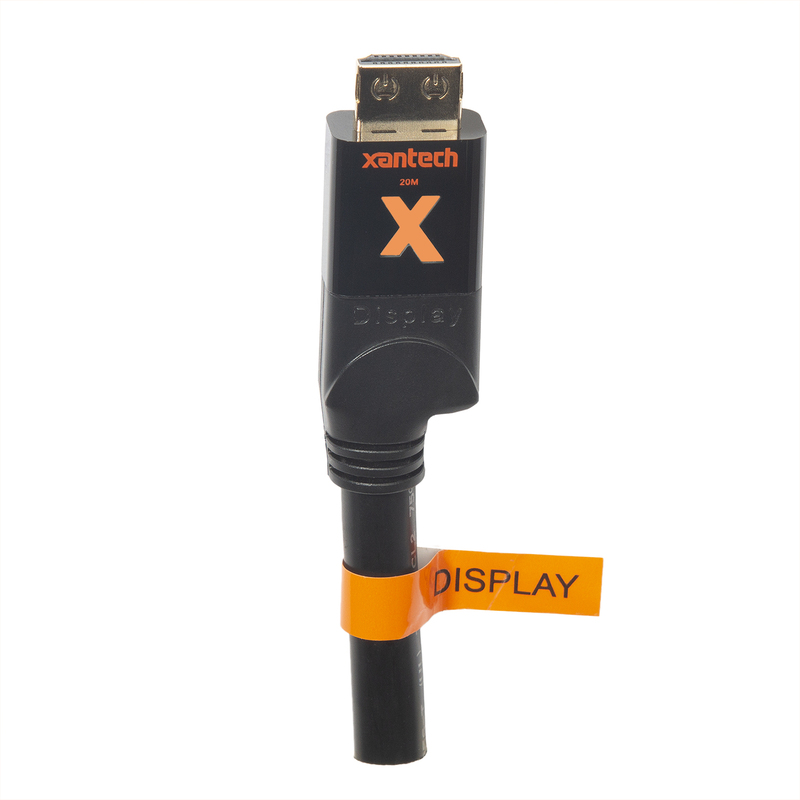 Xantech Active HDMI cables do not require external power to send 4K @60Hz 4:4:4 HDR video signals. The proprietary Xantech chipset draws its power from the video source. Unlike competitive products, no additional power supplies or USB cables are needed. No extra cables behind the TV or in the rack so keep it looking professional. The ‘X’ lights up to let you know the cable has sufficient power. If the light is blinking or not illuminated, use the provided Micro-USB cable. With 19 pins carrying 18.2 Gbps of data, even the slightest jostle of a component can move conductors out of alignment. 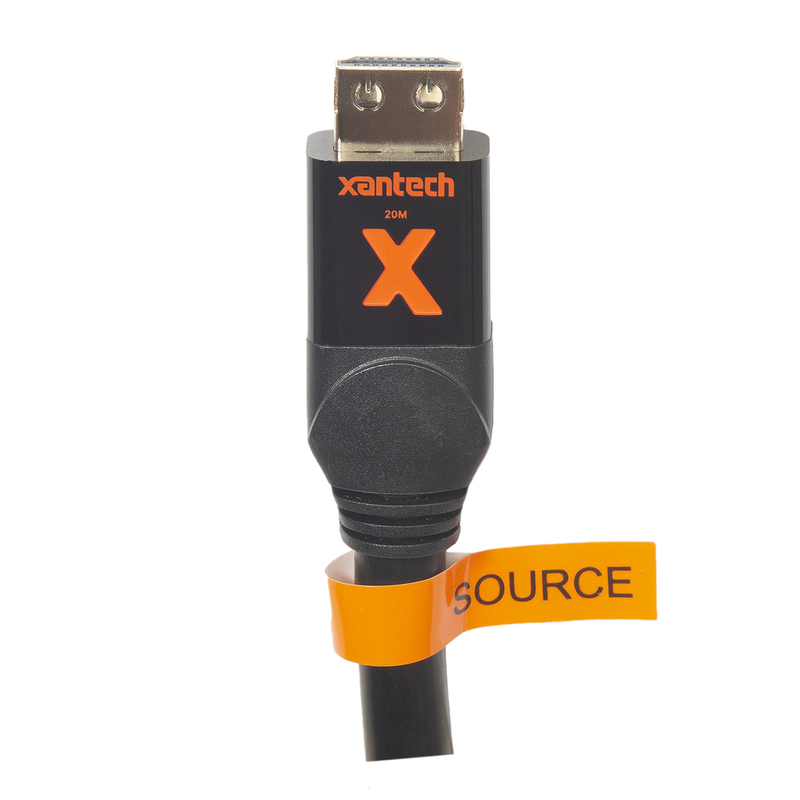 The piano gloss finish connectors of Xantech’s EX Series HDMI Cables are enhanced with Xantech's X-GRIP Technology™ to keep cables securely in place, enhancing the overall reliability of any AV system. A debossed “X” on the head helps to orient the cable when plugging into rear facing HDMI ports. Sacrifice Nothing. Uncompromised 4K @ 60Hz 4:4:4. 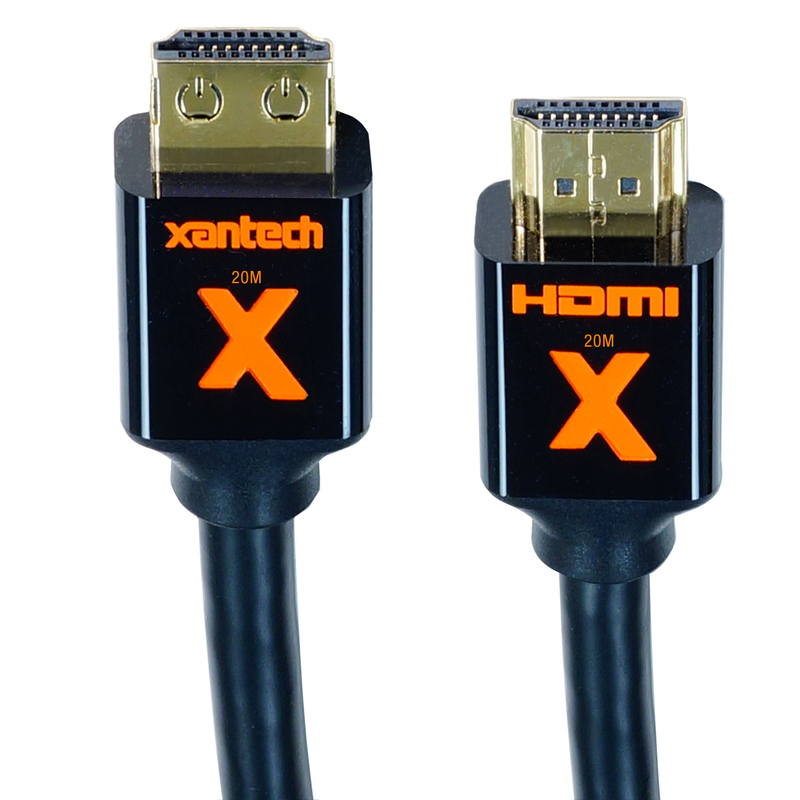 Xantech EX Series HDMI Cables set a new standard for quality and affordability. With support for all current HDMI 2.0b features including HDR, 18Gbps transfer rates, Resolutions up to UHD and DCI 4K at 60 frames per second in 4:4:4 Chroma sub-sampling, Audio Return Channel, all Dolby Digital formats & more, the EX Series is designed to surpass the needs of the most demanding system. Sharp Corners and Tight Spaces? We have you covered. 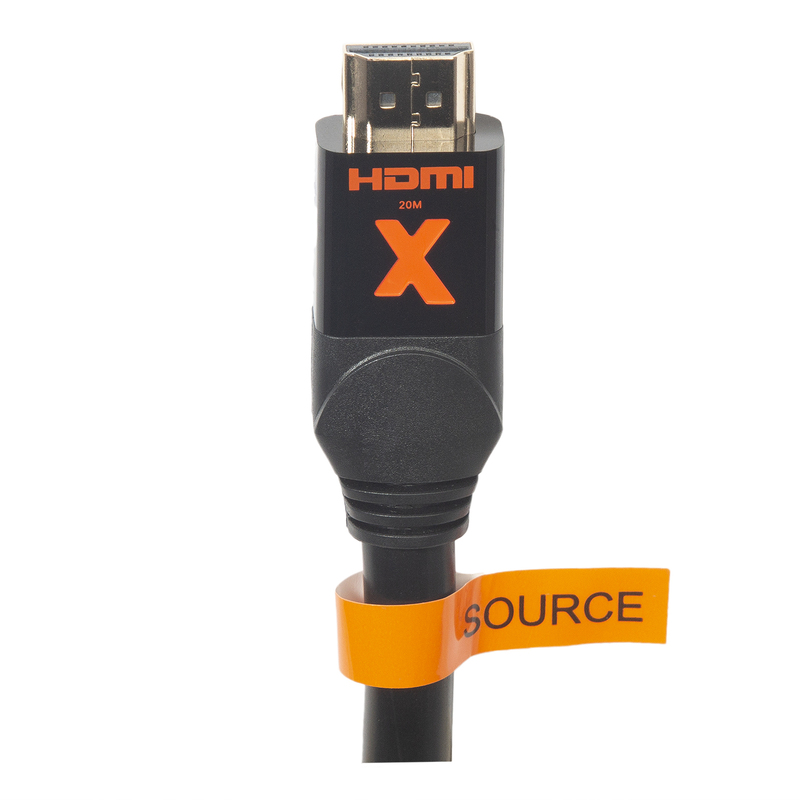 A shorter connector head and tighter bend radius allows EX Series HDMI cables to fit behind the thinnest of displays and racks without compromising signal. Built to Last. Future Proof by Design. Not all HDMI was created equal. 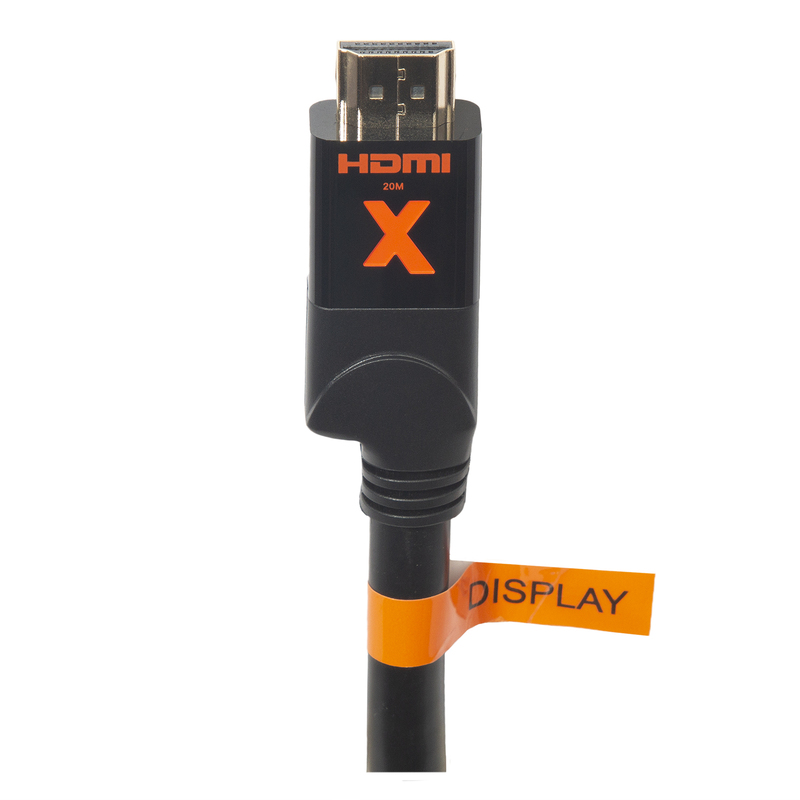 The EX Series are Category 2 HDMI, or High Speed, meaning they are capable of handling content that maximizes the full HDMI 2.0b specification. Balancing conductor gauges, external EMI shielding, and internal differential shielding through the length of the cable ensures the delivery of that content even at length. The EX Series is ready for the content of today, but designed to handle the content of tomorrow. EMI Prevention to Protect HDMI Signal. 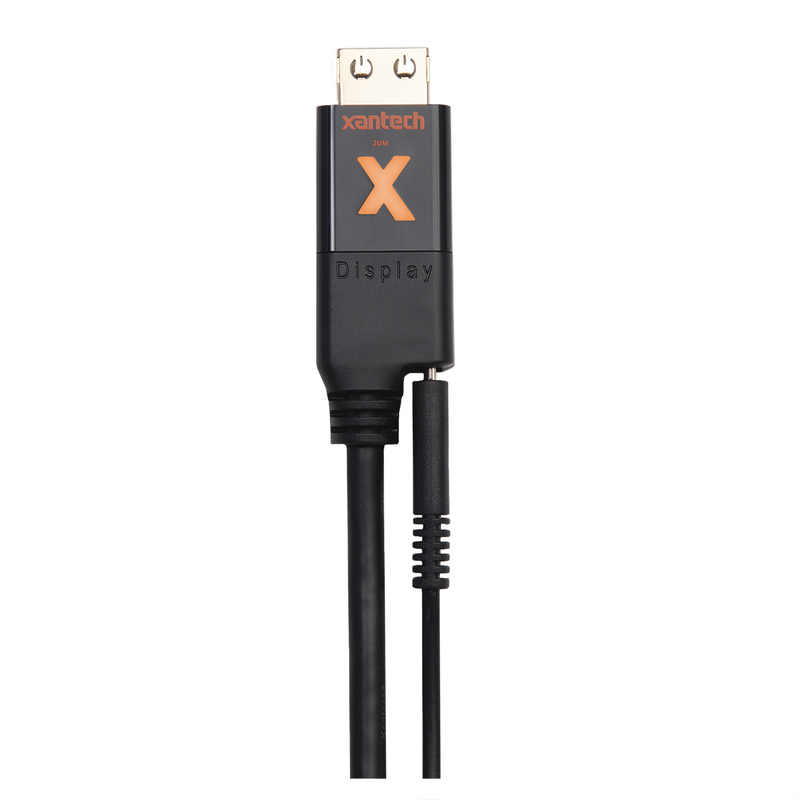 Xantech High Speed HDMI Cables with Ethernet feature solid-core oxygen free copper conductors and a solid nickel internal EMI shielding jacket that is interwoven with thinned gold contacts to double the protection. Xantech’s EX HDMI cable heads are housed in a porcelain shell aiding in rejecting stray capacitance from interconnected components that can build up over time and prevent HDMI signal. *Apple MacBook products are found to not provide sufficient external power. If installing this cable in an office setting where Apple MacBooks will be used as a source, it is recommended to use the Micro-USB provided. CEC extensions for control of consumer electronics devices.